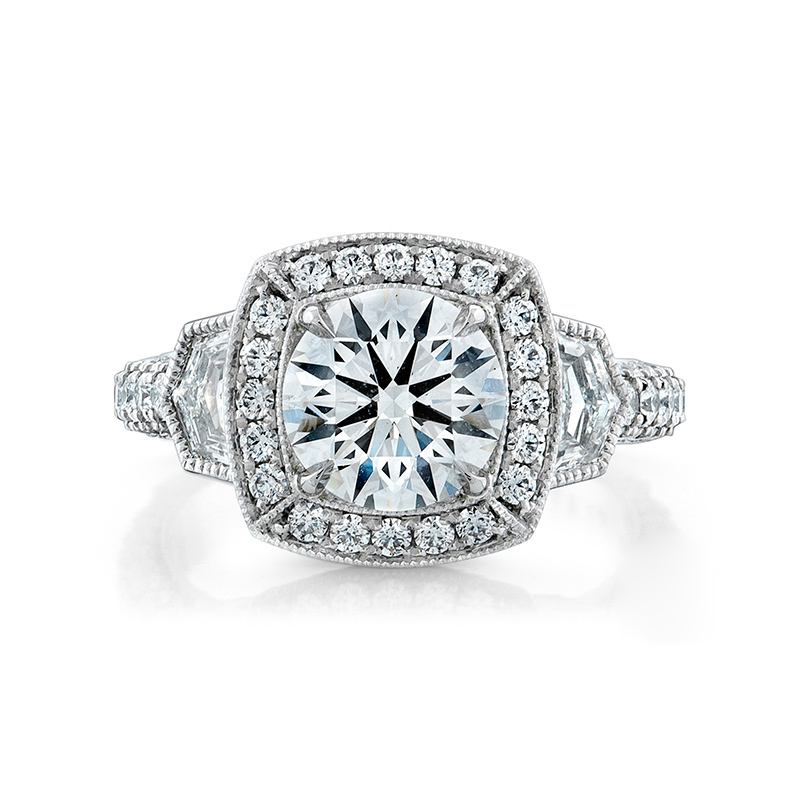 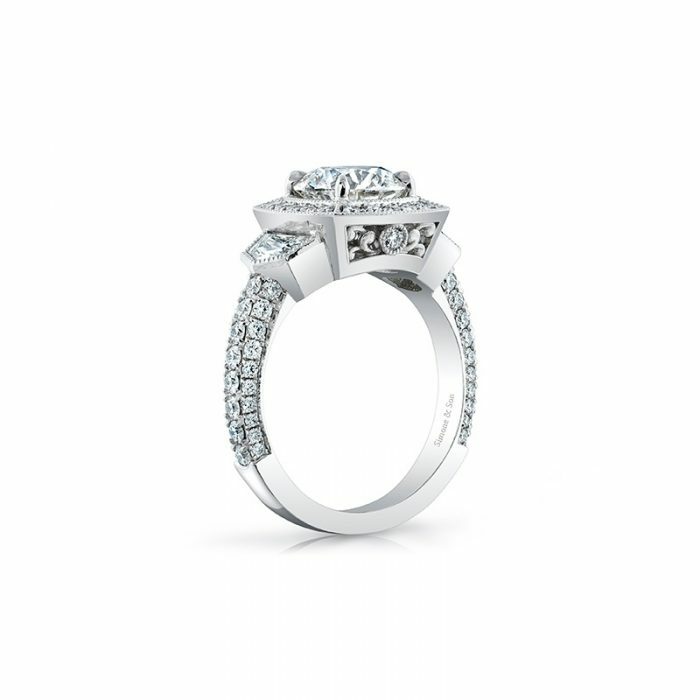 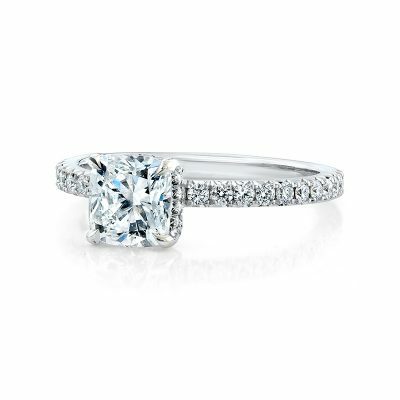 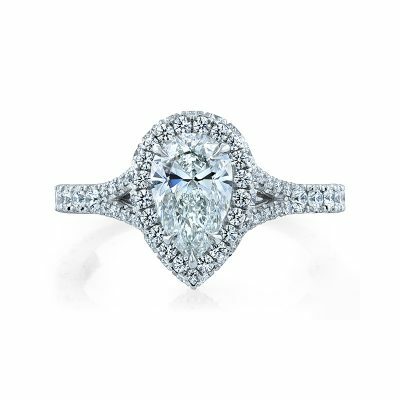 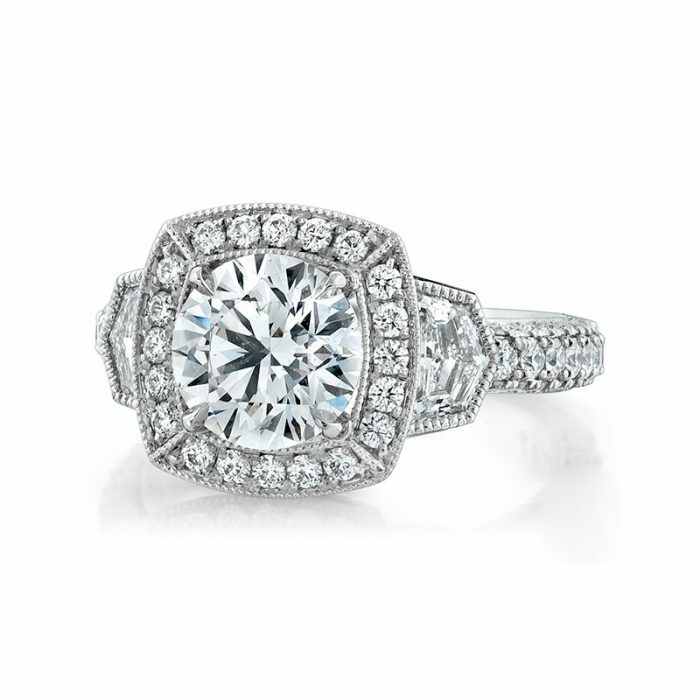 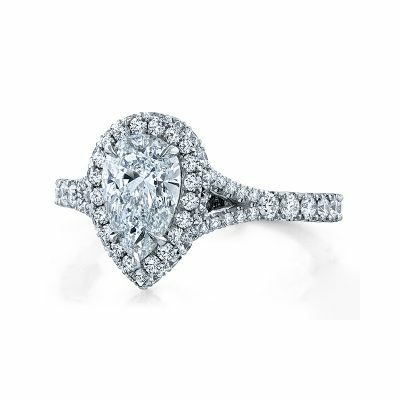 Platinum Cadi Engagement Ring, featuring 1.50ct round brilliant cut Diamond, accented with 0.50ctw epaulette cut Diamonds on the sides (2pcs) and 0.73ctw precision ideal cut Diamonds (80pcs). 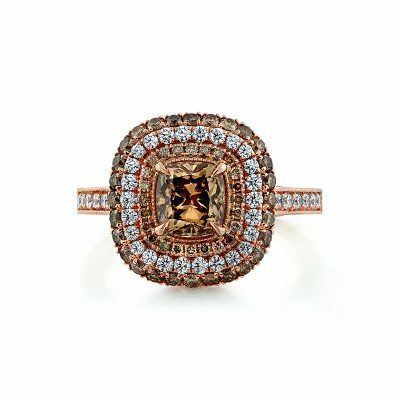 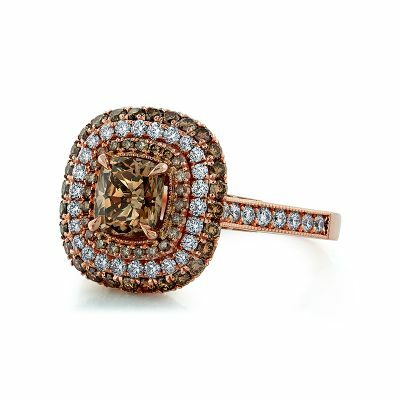 The delicate details contrast the bold lines of this antique style masterpiece. 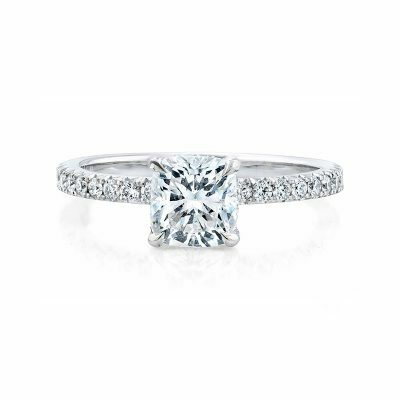 Center Diamond sold separately.